Hi everyone this is Dr. Kenny. I hope everyone is having a wonderful holiday season. In this blog post I’m going to give you an awesome recipe for a mug cake. It’s another twist on the recipe for a cookies and cream cake. This recipe is great because it’s loaded with cookie chunks and it’s super simple and quick to make. It has lots of good healthy protein, fiber and it’s also gluten-free, dairy free and paleo friendly. During the holiday season of November and December statistics tell us that people can gain anywhere from 10 pounds and is much as 20 pounds during these two months. Between family dinners, get-togethers and celebrations with friends and family and even people bringing lots of delicious but fattening goodies into the workplace it’s very difficult to maintain any type of healthy eating program let alone a weight loss eating nutrition program. So that is why during these next few weeks I’m going to step up my game and try to add at least three new recipes to our website. Some of these recipes may be low carbohydrate and low sugar and others will be low-calorie versions of foods that we love to eat. I am also going to try to add some healthy ingredients to foods that are normally loaded with sugar and lots of calories. And that’s exactly what I’m doing with this recipe for this cooking cream mug cake. Usually this type of recipe has nothing but lots and lots of sugar in calories and provide no nutritional value. But by using coconut flour and almond flour we are adding good healthy fiber and significantly decreasing the amount of sugar that we would normally be eating if this recipe was made from good old white processed flour. And because we are using Stevia or swerve instead of regular sugar we are decreasing the amount of sugar that would normally be in this type of recipe. By using unsweetened almond milk or coconut milk we are also increasing its nutritional value and eliminating lots of allergic reactions that are associated with normal regular dairy products such as milk. If you want to make this recipe totally good for you you should probably decrease the amount of optional ingredients like in the unsweetened sugar-free chocolate or vanilla chips. I just added these in their because my son Noah saw me making this recipe this morning and he wanted to add some additional flavor to the recipe. If you like the addition of the unsweetened/sugar free chocolate or vanilla chips make sure you tell Noah when you see him working in the office this summer. 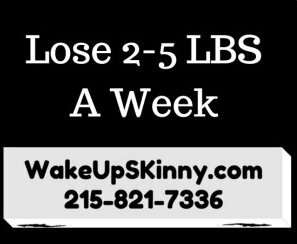 If you are not one of our Philadelphia medical weight loss patients or Bucks County medical weight loss patients and would like information on our weight loss program, I invite you to call us and schedule your free medical weight loss consultation. Call us now at 215-821-7336 and Lisa will be more than happy to schedule your free consultation. Instructions: In an oversized mug or even a bowl mix together your coconut flour, salt, baking powder, almond flour, swerve or Stevia and your cookie. Take another bowl and mix together your unsweetened coconut milk or almond milk, eggs and vanilla extract. Make sure that you blend this well together. Now that you have your dry ingredients in one bowl and your wet ingredients in another were going to combined the two of them and stir everything until it’s mixed together nicely. Next get an over-sized mug or even better a nice sized ball and for everything into it. Place it in the microwave and cook it for about 45 seconds. Then take it out of the microwave and check it. At this point you can add your chocolate chips and place it back to the microwave and cook it for as long as it needs to cook everything thoroughly. This could possibly take another minute or so. Total microwaving time is anywhere from 1 – 2 minutes. But again depending upon the strength of your microwave it might be a little bit more or even a little bit less time. When it’s thoroughly cooked take it out of the microwave let it cool down quite a bit before attempting to eat it. This recipe makes one serving. So there you have it another fantastic low-carb recipe that not only taste good but it’s also very good for your waistline. If you would like more information on our medical weight loss program again I invite you to call us at 215-821-7336 and Lisa will be happy to schedule your totally free weight loss consultation. In your free weight loss consultation we will review the various type of weight loss programs and services that we offer and review your personal health and physical decision the determine which of our weight loss program would be the best for you in the safest. Our goal is to help you lose weight safely and as quickly as possible and also improve your overall health and wellness. This entry was posted in Diet Doctors in Bucks County, Diet Doctors in Philadelphia, Medical Weight Loss in Philadelphia PA, Medical Weight Loss Philadelphia, Weight Loss, weight loss philadelphia and tagged diet pills in philadelphia, medical weight loss in philadelphia, phentermine in Philadelphia, philadelphia weight loss diet doctors, weight loss in philadelphia, weight loss pills in philadlephia on December 26, 2016 by Dr. Michael Kenny.